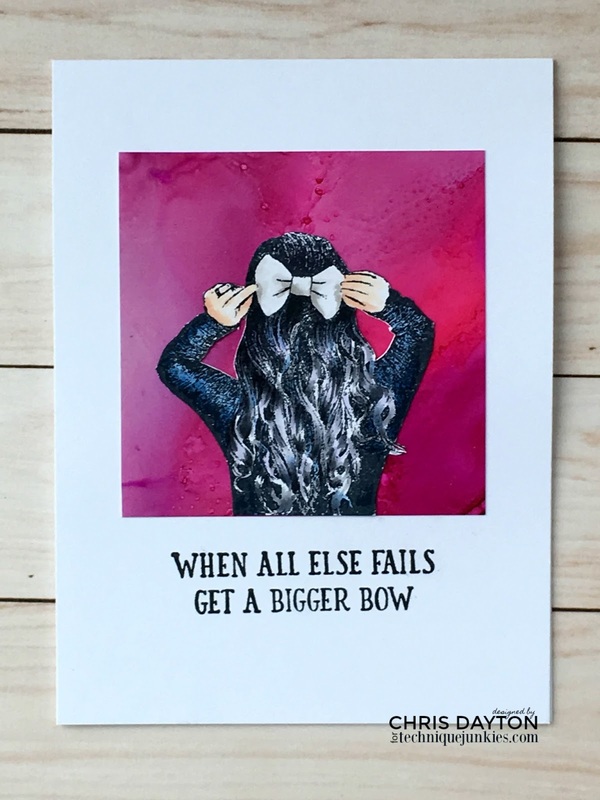 Welcome to the Technique Junkies November New Release Blog Hop! I hope you all had a fabulously fun and safe Halloween! 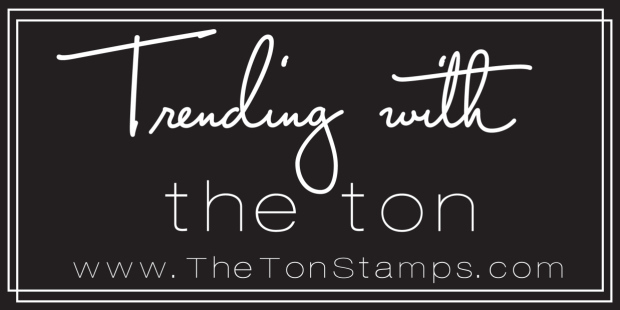 Now that November has arrived, the new stamps at Technique Junkies have too. 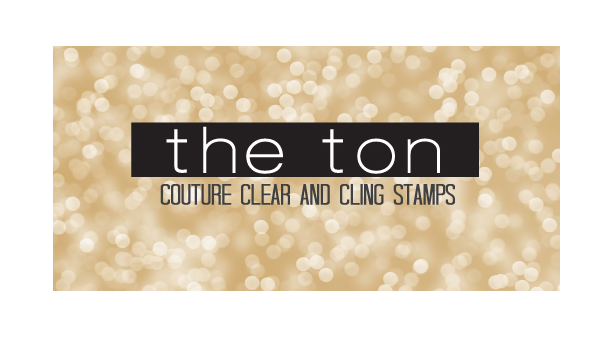 There are 15 new stamps in the lineup and they are all 15% off through November 8th. 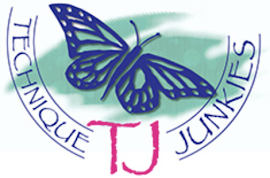 Today the TJ team is excited to share ideas on how to use them with you! 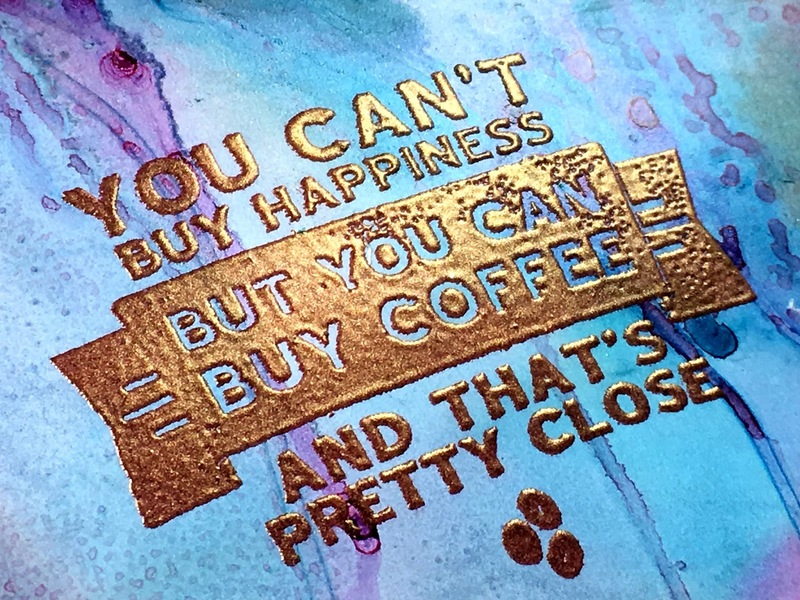 Hopefully you have traveled through the hop and have arrived here from Giovana's blog. If so, you're in the right place! 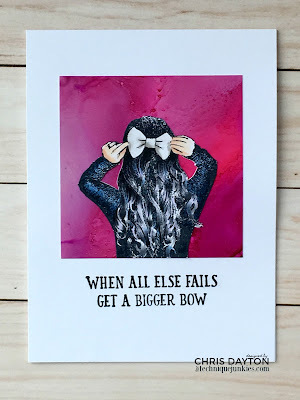 Today I am sharing this card featuring Bigger Bow. 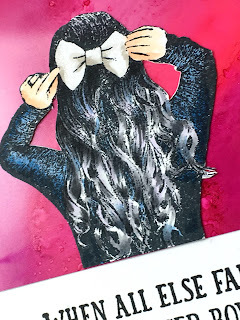 I stamped this fabulously detailed image in Memento Ink, and colored with Copic markers. I added hints of pale blues and violets along with cool Grays to add shine to her lovely wavy hair. I hand trimmed the image, and added the girl to an alcohol ink/Yupo paper background. 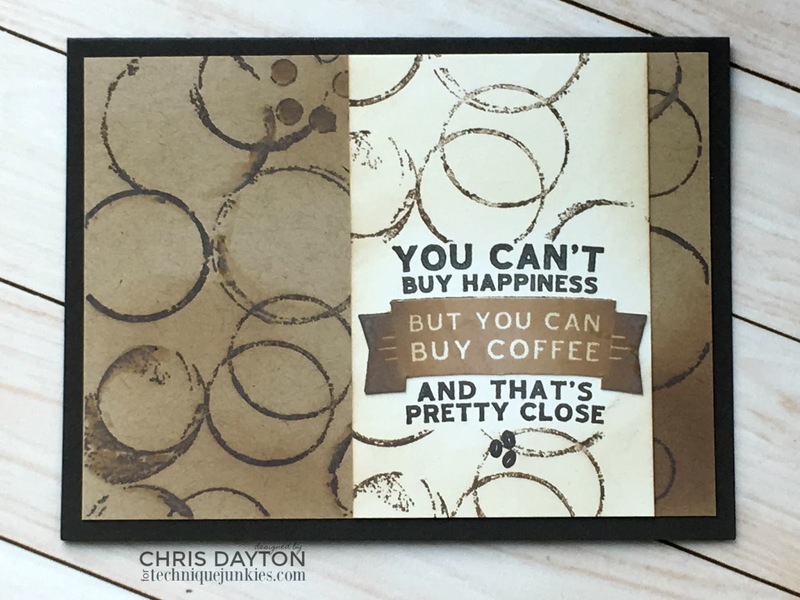 I masked the image so I could add the greeting separately directly on my card base. 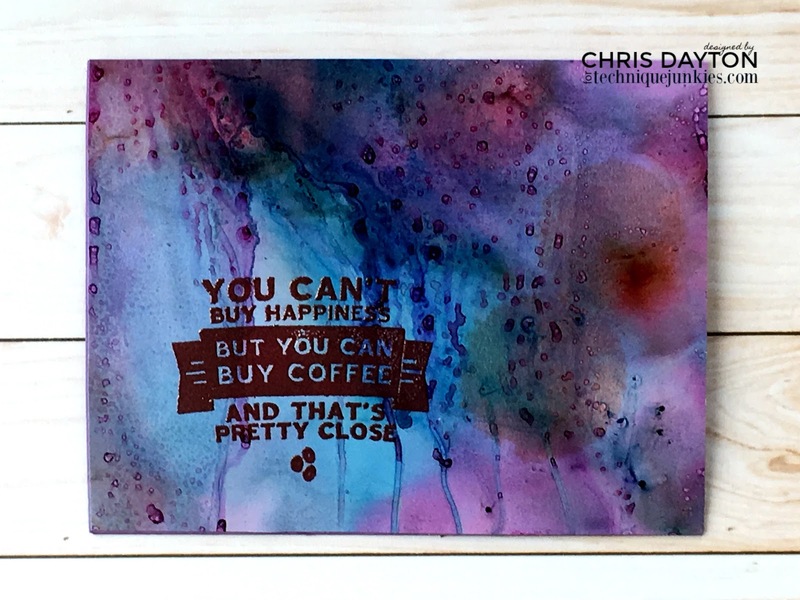 I inked a second card with the Buy Coffee stamp. This time I used a sponge dauber to apply ink to the stamp in my MISTI little by little, restamping each time to build up color and create a dimensional look to the banner. 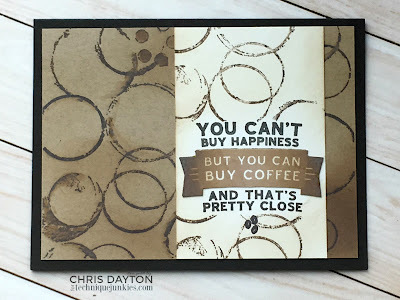 I used the new Paint Rings background stamp to create a "coffee rings" background on both my kraft and ivory cardstock. 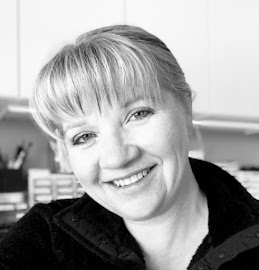 And now, please continue on the hop to the fabulous Pat Huntoon's blog! Chris, your coloring is just so wonderful and all your cards are so creative. Such a treat. Happy Hop! Wowza, three terrific cards. I love them all! Fantastic cards. Love the gold embossing on the beautiful background.